Serendipity has once again come my way and I’m going to Longbeach, MS early tomorrow morning to finalize a writing project. Wish me luck. I won’t jynx it by talking about it too soon, but it’s GOOD! It’s been a difficult week, with no shortage of work. Next week, I’ll be in Brownsboro, TX at the school district there from Tuesday through Friday. Crazy busy. 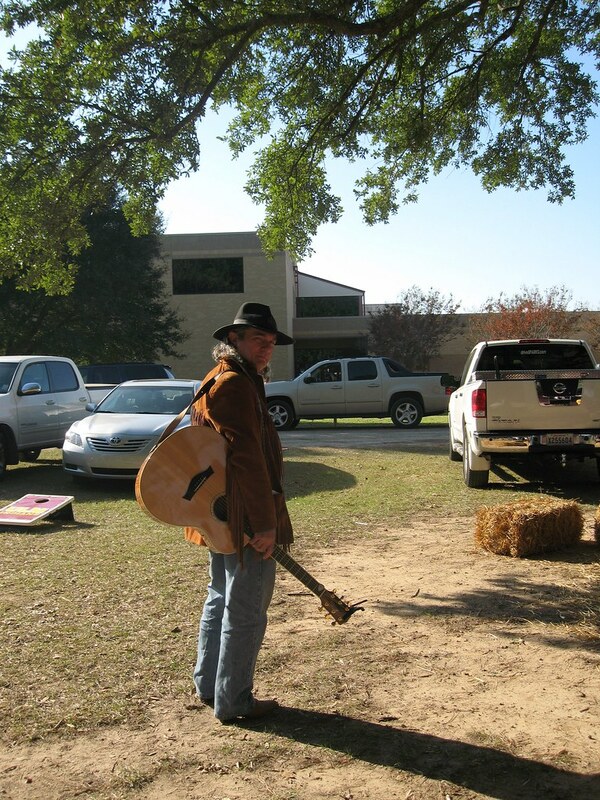 Here is a photo my daughter took of me last fall in ULM’s Grove at the Chili Cook-off. I was supposed to be Chili Nelson.